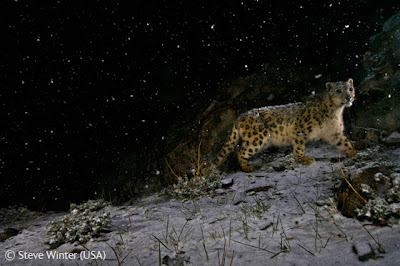 Talking about Snow Leopards - this year's Wildlife Photographer of the Year award went to Steve Winter with his incredible series of Snow Leopard images in the mountains of South and Central Asia. The images, taken by a remotely operated camera triggered by the leopard's movement, were obtained after a lot of effort and patience on part of the photographer. Here is the winning photograph of the big cat, that has seldom been captured on film in the wild. You can see more of Steve's pics of Snow Leopards here. More pics from the contest here. That is just incredible. 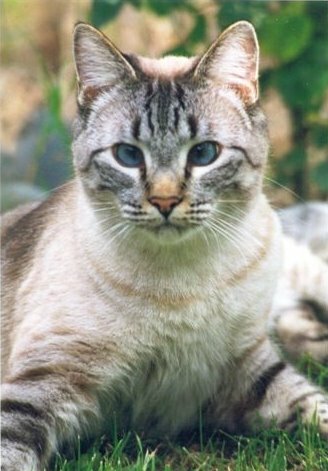 Thanks for posting this Cats. I have to go and check out the rest!!! That is a great shot!!! Steve takes some really good pictures. Thanks for the link! What a Magnificent picture. The one with the Lion and giraffe was really good also. But the snow leopard is a picture of a life time. What a gorgeous picture--I can't believe that was taken remotely!